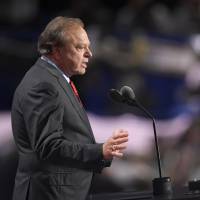 CLEVELAND - Republican presidential candidate Donald Trump is considering nominating Oklahoma oil and gas mogul Harold Hamm as energy secretary if elected to the White House on Nov. 8, according to four sources close to Trump’s campaign. The chief executive of Continental Resources would be the first U.S. energy secretary drawn directly from the oil and gas industry since the Cabinet position was created in 1977, a move that would jolt environmental advocates but bolster Trump’s pro-drilling energy platform. 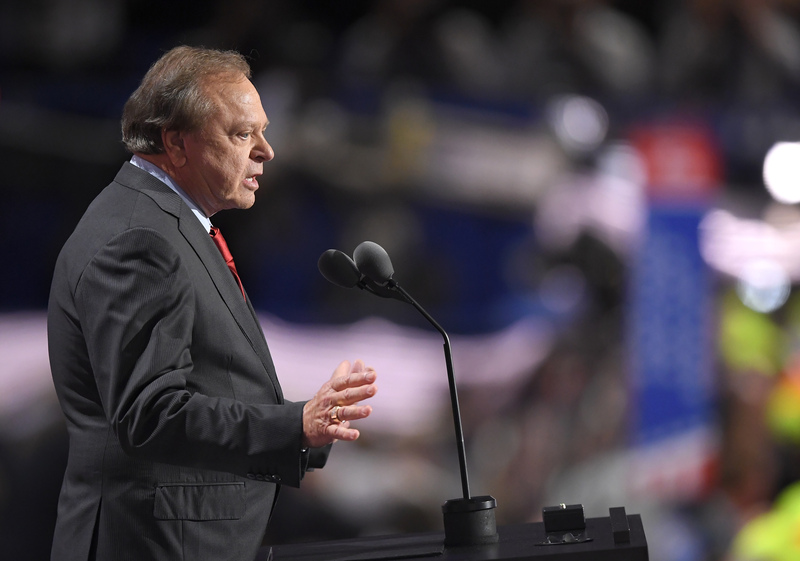 Dan Eberhart, an oil investor and Republican financier, said he had been told by officials in Trump’s campaign that Hamm was “the leading contender” for the position. Eberhart said he had discussed the possible appointment with top donors at the Republican National Convention in Cleveland this week. Three other sources close to the Trump campaign confirmed Trump was considering Hamm for the post. One of the sources said he first heard that Hamm was a contender from Trump officials on Sunday. Hamm, 70, became one of America’s wealthiest men during the U.S. oil and gas drilling boom over the past decade, tapping into new hydraulic fracturing drilling technology to access vast deposits in North Dakota’s shale fields. Hamm’s future was discussed at a private fundraiser organized by a Trump Super PAC, Great America PAC, in Cleveland on Monday. Hamm was there, along with major donor Foster Friess and former Republican presidential candidate Ben Carson, one of the sources said, asking not to be named. None of the sources was aware of who else Trump may be considering for the job. Representatives for Trump and Hamm did not respond to a request for comment. Past heads of the U.S. Department of Energy, which is charged with advancing U.S. energy security and technology and dealing with nuclear waste disposal, have typically boasted a political or academic background. This is not the first time Hamm has been in contention for the job. The Republican Party’s presidential nominee in 2012, Mitt Romney, vetted Hamm to be energy secretary but ultimately decided against him because the two men have differing positions on renewable energy sources like wind. Hamm was due to speak at the Republican convention on Wednesday night. He made headlines in 2015 after settling a protracted divorce case and agreeing to pay his ex-wife $975 million — reported to be the biggest divorce settlement in history. His fortune is now estimated at nearly $12 billion. Trump, who has yet to make any announcements about his prospective Cabinet, has already surrounded himself with strong advocates of traditional energy sources like oil, gas, and coal and has promised to gut environmental regulations to boost drilling and mining if elected. He tapped U.S. Congressman Kevin Cramer of North Dakota, a climate skeptic and drilling advocate, to help draw up his campaign energy platform, and picked Indiana Gov. Mike Pence, also a climate skeptic, as his running mate. Both moves cheered the energy industry but alarmed environmental activists who say a Trump presidency would set back years of progress on issues like pollution and climate change. “Given that Hamm’s as close as we’ve got to a fracker-in-chief in this country, it would be an apropos pick for a president who thinks global warming is a hoax manufactured by the Chinese,” said leading environmental activist Bill McKibben. Trump’s Democratic rival Hillary Clinton has promised to bolster regulation and increase use of renewable fuels to combat climate change if elected.